SYDNEY, Australia Nov. 19, 2018 - Driving Solutions in partnership with ARDC, has today announced its new 4WD Driver Training Course to be held at Sydney Motorsport Park's (SMSP) purpose built 4WD Driver Training Park in Western Sydney. Officially opened mid 2018, SMSP's 4WD Driver Training Park has up until now only been used for corporate events, but with today's announcement, it is now Sydney's newest home of 4WD Driver Training. James Stewart, Director of Driving Solutions says: "We're excited to offer 4WD owners and off-road adventurers a course specifically designed for them." Driving Solution's 4WD Driver Training course will take participants through a variety of engaging and hands-on driving exercises designed to give drivers the knowledge, skills and confidence they need when taking their vehicle off-road. The training will also help 4WD owners understand the myriad of off-road technologies in their vehicle, such as locking diff's and hill descent control. 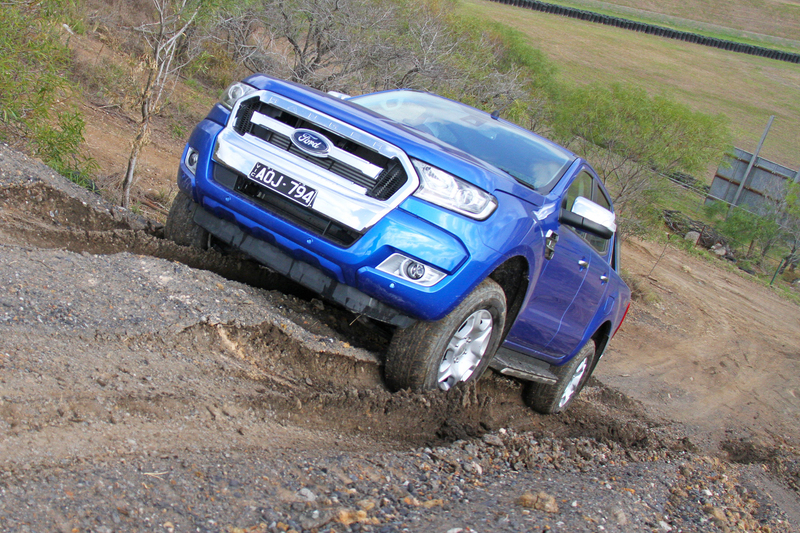 "Australia has seen a huge increase in the sales of 4WD & SUV vehicles in the last few years, with vehicles like Hilux and Ranger topping the sales charts. With more 4WDs on the road than ever, it's important drivers know both the capabilities and limitations of their vehicle", James says. "Our Defensive and Advanced Driver Training courses can be completed in a 4x4, however this new course lets drivers experience 4WD specific terrains and technologies and is a chance to practice off-roading in a safe environment before trying it in the real world", James adds. Driving Solutions 4WD Driver Training course commences at Sydney Motorsport Park on Sunday November 25th and will run regularly throughout 2019. Bookings are now open at www.drivingsolutions.com/4wd-driver-training/ or can be booked over the phone on 1300 183 700. Driving Solutions is a family owned company based in Western Sydney at Sydney Motorsport Park. The company is passionate about improving the standard of driving and safety on our roads. Driving Solutions provide driver training for everyone from learners through to professional racing drivers. They are the trusted event and drive team partners for vehicle manufacturers, importers and corporate organisations around Australia. For more information, please visit www.drivingsolutions.com.auor call 1300 183 700. Driving Solutions Launches new 4WD Driver Training Course at Sydney Motorsport Park's purpose built 4WD Driver Training Park. Participants at Driving Solution's 4WD Driver Training learn to use their vehicle's off-road technology with confidence.